Tree Pruning Adelaide – Sturt Stump Cutters are the Best in SA! Do you need a tree pruning Adelaide service that is professional, efficient and hassle free? If so, Sturt Stump Cutters are the team you need! Owner Russell Ellis is the best arborist in the business. With over 38 years of experience, Russell knows what it takes to get the job done right the first time. We only use the safest techniques and methods when carrying out tree maintenance work. Additionally, we complete all of our jobs in line with Australian standards. This guarantees the high quality of our work is upheld, and we only offer advice and solutions that are proven to be best practice! Think of old school service matched with modern capabilities – that is Sturt Stump Cutters through and through. Our tree pruning Adelaide service really is second to none. Tree pruning Adelaide is such an important step when it comes to caring for and maintaining the health of trees. Pruning assists with influencing the structural integrity of a tree, to reduce the risk of broken or damaged limbs. This is achieved through distributing weight evenly between branch structures. Tree pruning Adelaide can also drastically improve the look of your trees! 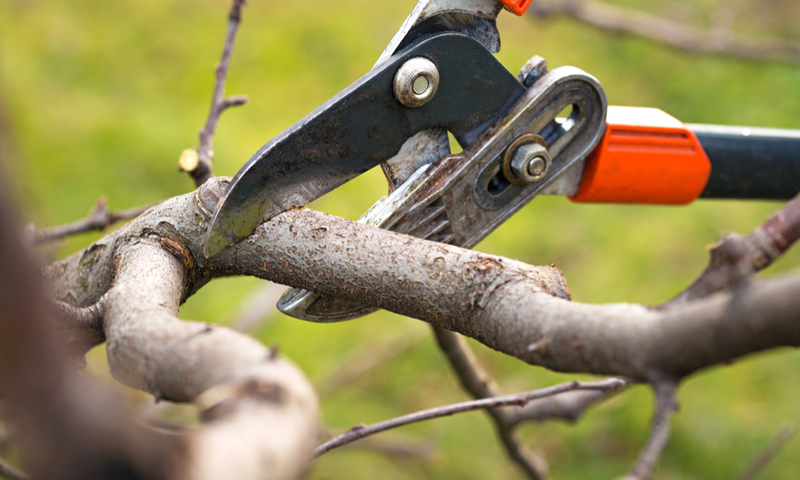 When it comes to pruning, less is generally more to avoid fatally cutting off its energy supplies. Russell’s extensive experience in South Australia’s environment arms him with the skills and knowledge needed to provide his customers with the best possible solutions. Our diagnostic and treatment abilities are extremely advanced. Additionally, we guarantee to leave your site completely tidy, with all debris exposed of. For the best service in SA, call Russell at Sturt Stump Cutters today! Sturt Stump Cutters is available 24 hours a day, 7 days a week. So, if you are in an emergency situation and require immediate assistance, call 0418 823 733! When you need professional and efficient tree pruning Adelaide, call Russell at Sturt Stump Cutters on 0418 823 733!